Cars are seen at Berlin's Kaiserdamm, which could be affected by a diesel ban. On at least eleven stretches of road suffering from the highest levels of nitrogen oxide pollution, Berlin must ban vehicles meeting the Euro 5 or older emissions standards, the court said in a statement, adding the city-state had not done enough to keep air pollution within permitted limits. 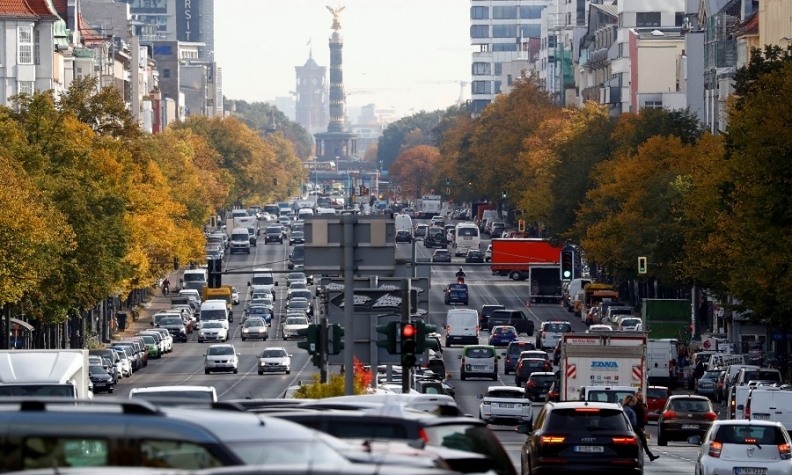 Beyond those streets, Berlin must analyze whether further bans are needed on a total 15 km of roads to lower nitrogen oxide concentrations in the city to 40 micrograms per cubic meter of air on average, the court said. Earlier this month, the federal German government outlined plans to cut pollution from diesel vehicles by asking automakers to offer owners trade-in incentives and hardware fixes in an attempt to avert further driving bans. Diesel bans have already been imposed in Hamburg and are planned for Frankfurt and Stuttgart, the home of Germany's car industry. The case in Berlin was brought by environmental lobby group DUH in the latest attempt by activists to force regional governments in Germany to improve air quality. DUH is pursuing legal cases seeking bans in 28 cities and has said it will file suits against six more cities this month.